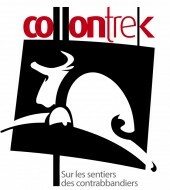 The Collon-Trek is a High mountain race of approximately 24 Km (+1400m and –1200 m altitude difference). From Bionaz, (Aoste Valley-Italia), the Collon-Trek, crosses the Italian border and finishes at 2000 meters in Arolla (Wallis – Switzerland) passing mainly on paths formerly used by the smugglers. Located in the middle of the hydroelectric heritage of the Wallis’ Alps, this event contains numerous passages in altitude between 2000 and 3000 meters with the passage of Mt Collon as well as the crossing of the famous Arolla glacier. This race mixes running and trekking is reserved to teams of 2 competitors. 101 spectacles offered to the public. Numerous novelties are marking this 37th edition, among which the white card given to the director Marielle Pinsard, the urban installation of the architect Jean-Gilles Décosterd, Nights of the City which will reveal themselves electronic and design, The Factory stage replaces the Dance in the heart of the City. Finally a special lighting of all the perimeter will be installed for the event. 125 ' 000 spectators are expected from 3 till 11 July in the old town of Lausanne. GPS performance SA is in charge of the development of the Sponsoring and of the VIP hospitality of the Festival. Since 2006, GPS Performance is the sole marketing agency for the Tour de Romandie. Our mission includes finding partners, the hospitality packages, communication of the event and the selling of the television rights abroad. GPS Performance's team adds to the competencies of the organising committee of the TdR. Thanks to Verbier’s great late-season skiing, the Verbier High Five by Carlsberg has celebrated the closing of ski racing season for the last 9 years. The High Five is open to everyone over 18 years old and is your chance to compete in four disciplines against some of the world’s legendary skiers and snowboarders. We also have the Carlsberg Triathlon - which requires some After-ski experience. Ski and party with the pros,listen to great live music and enjoy what is probably the best After-ski in the worl - all in Verbier! Traditionnaly Swiss ski Federation creates beside every Alpine Ski World Championships a "Swiss House", allow Swiss-Ski's sponsors to invite their clients but also the athletes to celebrate their victories and to meet the medias. For 2009 Val d'Isère world ski championships, GPS Perfroamnce and Swiss-Ski have decided to join forces to create the House of Switzerland concept and give the opportunity to some happy few to enjoy a little corner of Switzerland into France! The House of Switzerland will also be the meeting point of national and international press of the "white circuit". the Swiss televison will do every day the live shows. The House of Switzerland will welcome you into its bar and restaurant to enjoy Swiss specalties into a warm atmosphere.